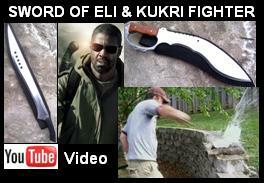 Handmade Kukri Fighter Knife. See Pictures, Prices, and Descriptions. Made by Scorpion Swords & Knives. culture (after the time of Julius Caesar and Roman merchants, who had a huge commercial presence in India) seem to have used tools similar to kukri, and possibly were promoters of it.